Bring your lawn chairs or blankets and enjoy live music, games, arts and crafts. 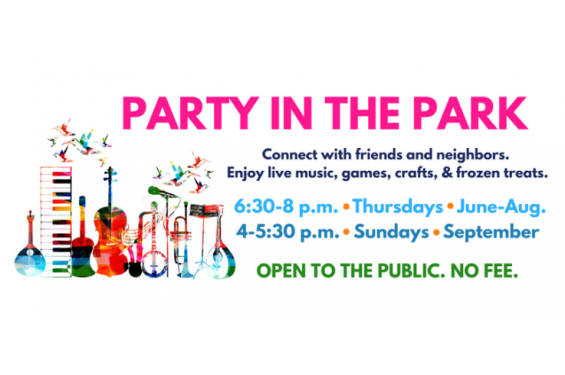 Party in the Park is a no-fee event and is open to the public. Sponsored by the Iowa City Parks and Recreation Department and the Neighborhood Outreach Division, Party in the Park gives residents a chance to enjoy their summer evenings outdoors with friends and family while exploring the City’s many beautiful natural spaces and neighborhoods. Eulenspiegel Puppet Theatre performance at 5:30 p.m.